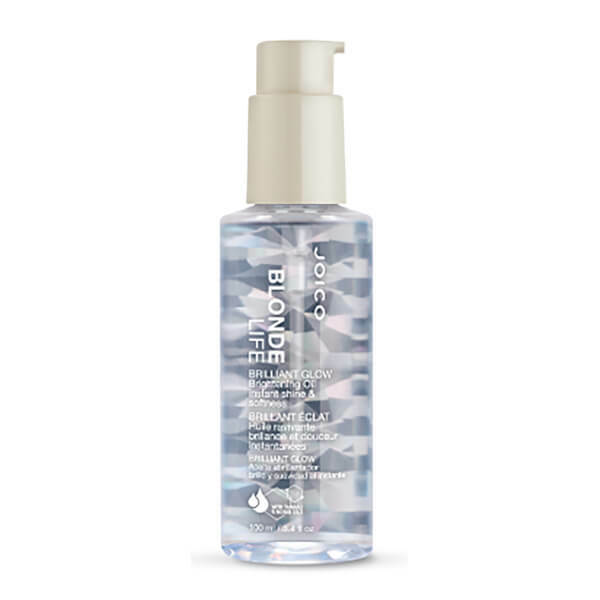 Enhance blonde locks with a blast of crystal-clear shine and softness with the Joico Blonde Life Brilliant Glow Brightening Oil for Instant Shine and Softness; a transparent nourishing and protecting hair oil infused with shine-boosting properties that makes blonde hair appear brighter and more vibrant that ever. Part of the haircare brand’s Blonde Life collection, the oil is infused with a hydrating blend of Monoi and Tamanu Oils, which work in tandem to instantly deliver a touchably silky and soft finish. Ideal for every shade of blonde, from dark honey tones to the iciest platinums, the oil drives its frizz-fighting smoothing properties deep into the hair shaft without staining even the fairest of shades. 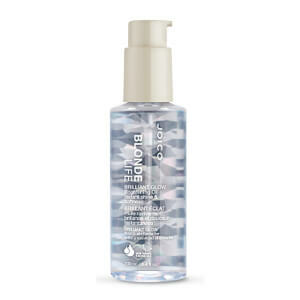 Sealing in moisture, the oil cares for each individual strand for a magnified, mega-watt gleam. Apply 1-2 pumps to damp or dry hair. Style as usual.